As autumn ends and gives way to winter, we are thoughtful and thankful.We weep for and with those affected by the catastrophic California fires that took the lives of so many and devastated communities. We are thoughtful to recognize the resulting trauma on families and thankful for those who were saved and to those who helped fight the fires and rallied with those communities. We condemn the violent and fatal acts of hate, racism, terrorism, anti-Semitism and white supremacy that took place in Kentucky, Pennsylvania and throughout our nation this fall. We are thoughtful to mourn the loss of lives, and the harm caused physically and emotionally to those on the ground and felt across the nation. We acknowledge that as many of us gathered last week with loved ones, there is the somber truth of the “first Thanksgiving”, and the day of mourning that it is for Native people. 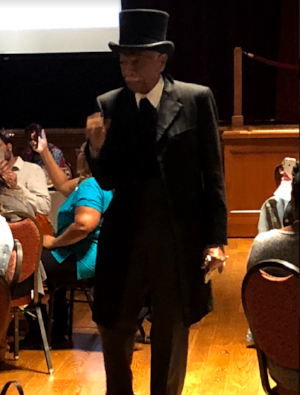 We are thoughtful as we continue our collective parent leadership journey to racial justice and encourage you to get to know the native history of our nation and your community. We are thankful for this deep work – individual and collective civic engagement – we thoughtfully hosted a racial equity think tank this Fall. We are both thoughtful and thankful about our mission, and the families, partners and communities with whom we engage. Here at the National Parent Leadership Institute our mission requires thoughtful alignment with partners like YOU for us to accomplish it. That’s why we’re so thankful for YOU. 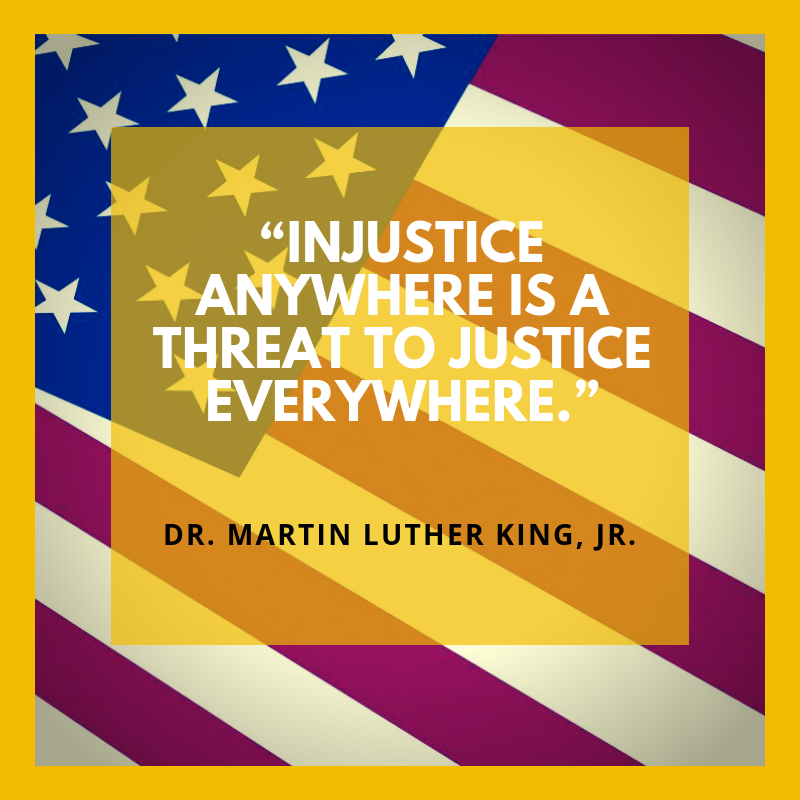 Please read on to learn more about our racial justice work this fall and how you can support NPLI during this season of giving. Parent Leaders are taking the lead when it comes to equitable access, public policy and civic engagement taking crucial steps to make their communities, cities and states better communities for your children and ours. 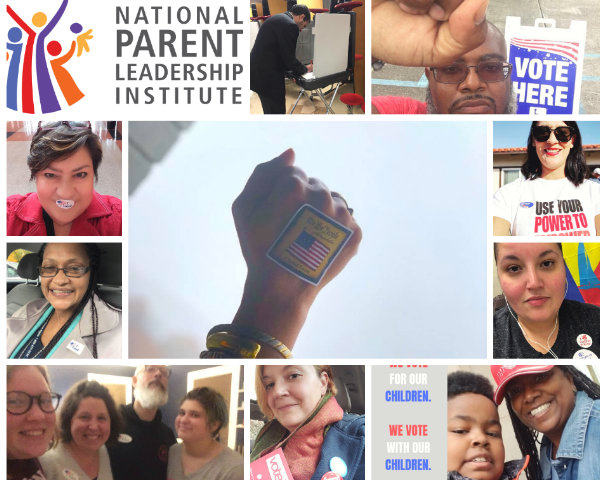 This newsletter’s parent spotlight is dedicated to all the parent leaders who made their way to the polls and voted and to all the parent leaders who took civic action during this election season. We applaud you! 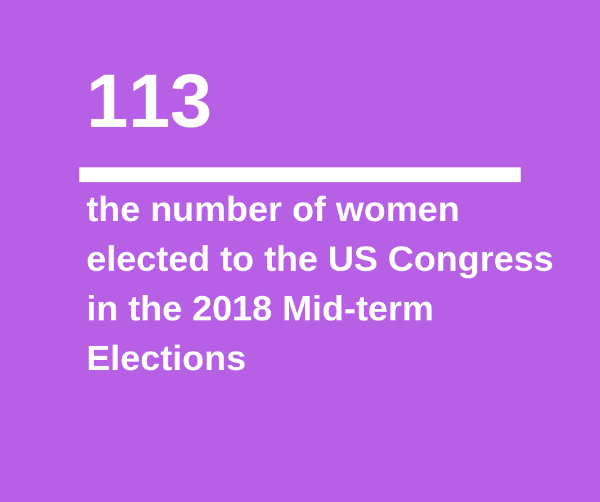 Record number of women elected to the United States Congress! NPLI 2018 Racial Equity Think Tank: Advancing Racial Justice Through Parent Leadership The National Parent Leadership Institute believes that real change for children and families comes when communities work effectively across race and culture, with parents engaged and at the table as partners in decision-making. The need for effective approaches to bring diverse parents to the table to partner on community solutions is needed now more than ever. Working across race and class is core to NPLI’s work as we authentically engage parents as leaders in communities. Our strategic planning process in 2017 included in-depth interviews with Parent Leadership Training Institute (PLTI) parent leaders, and led us to prioritize an expansion of our racial equity work, working with parent leaders of PLTI as well as with our partners in the Parent Leadership field. 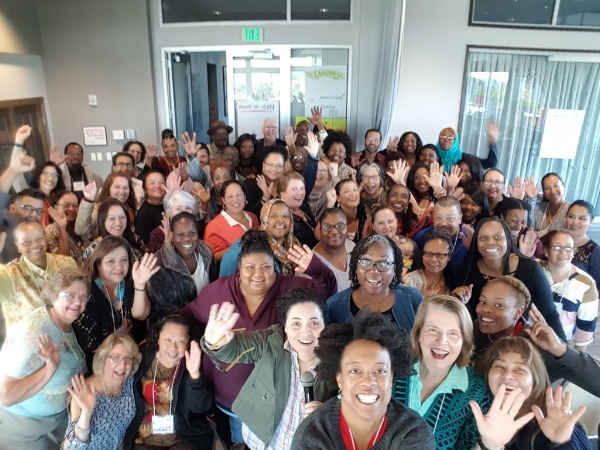 To kick off this work, NPLI convened a Racial Equity Think Tank in October 2018 bringing together PLTI alumni and field teams from communities across the United States. Our evaluation outcomes demonstrate that after PLTI, parent leaders increase their recognition of institutional racism and their commitment to address it. Alumni have asked for additional tools and support to increase their impact in local communities. In response, we worked with partners to share training and resources to facilitate crucial conversations in their local communities. 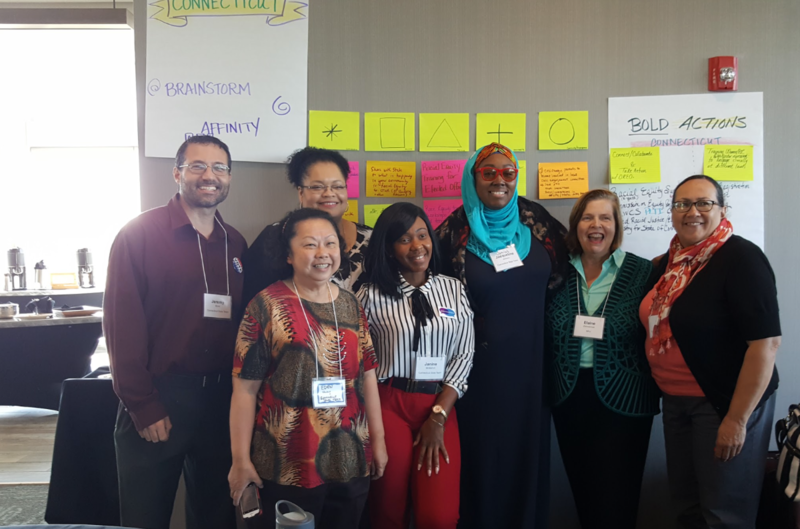 On October 8 – 10, 2018, in Rochester, New York, we convened parent leaders from ten PLTI communities across the United States – a regional team from 3 California counties: Merced, Solano and San Joaquin; Prowers County, Colorado; a state team from Connecticut; Miami-Dade County, Florida; New Orleans, Louisiana; 2 teams from New York: New York City and Rochester; Alexandria, Virginia; Everett, Washington and Wind River Indian Reservation, Wyoming. Parent leaders engaged in discussions on current racial equity issues in their communities and beyond, began to build capacity for using tools and resources to address racial inequities, and developed action plans/next steps to begin once they returned home.Together we discussed: engaging across and with difference, best practices for convening crucial conversations on race, and strategies to assess data and policy with a lens of racial equity. The diversity of participants brought strength to the learning experience. 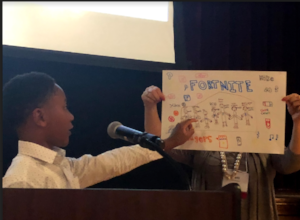 They contributed their experiences, skills, and lessons learned as they engaged in deep learning, discussions, self-reflection and action planning to advance the critical equity and diversity work needed in their communities. Our gleanings from the post event evaluations gave insight to what parent leaders said they learned during the racial equity training. Their evaluation feedback showed that 100% of participants who completed the survey strongly agreed that the Racial Equity Training with our partners the Interaction Institute for Social Change (facilitators Curtis Ogden and Melinda Weekes Laidlow) was extremely beneficial. The session, which included historical context and clearly articulated key concepts and definitions, provided a strong foundation for the collaborative deep thinking, sharing and listening that transpired over the span of the Racial Equity Think Tank. The master facilitators utilized the strength and assets in the room by using personal story telling and small/large group work and report-outs to approach sensitive topics (racism, oppression, privilege, white supremacy, etc.) as well as encourage and inspire the parent leaders. Parent leaders valued the session that followed, delivered by facilitators Andrew Grant-Thomas and Melissa Giraud of EmbraceRace, designed to help parent leaders envision and work towards the world they want for their children and all children through a racial equity lens. 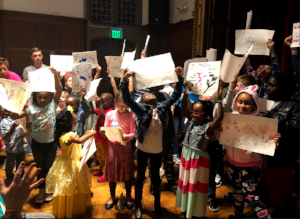 Pictured above, Greater Rochester child leaders participate in the festivities and learning community contributing their own posters to the informational and inspirational evening for PLTI alumni and their families which kicked off the Racial Equity Think Tank. 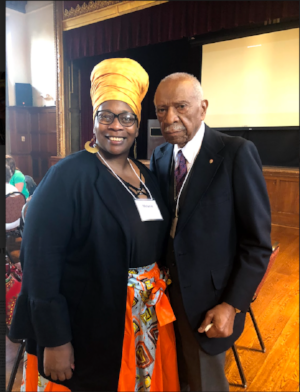 Below, Melanie Funchess (Greater Rochester PLTI Facilitator) poses with the actor who masterly performed one of Frederick Douglass’ letter through re-enactment at the Alumni Dinner hosted by the Greater Rochester PLTI at Rochester’s Memorial Art Gallery at Rochester Art Museum. 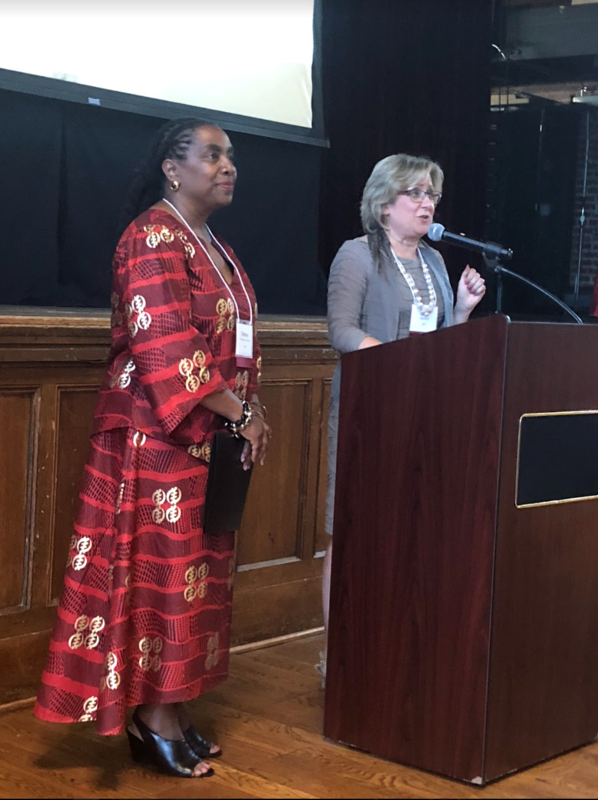 The dinner featured Greater Rochester PLTI Alumni and local officials sharing powerful words to inspire and uplift participants in the fight for racial justice. Parent Leadership Field Teams CohortTogether we identified opportunities to broaden our collective work to improve racial equity. In addition to NPLI, attending initiatives include: Abriendo Puertas/Opening Doors, California; Community Organizing and Family Issues (COFI), Illinois; Parent Voices, California; Parent Ambassadors, Washington State; Parents for Public Schools, Mississippi; Choice for All representing the Hagedorn Foundation and the United Parent Leaders Action Network (UPLAN). We joined together in discussion and training on: engaging across and with difference, best practices for convening crucial conversations on race, and strategies to assess data and policy with a lens of racial equity. Our partner, the Interaction Institute for Social Change, (facilitators Curtis Ogden and Melinda Weekes Laidlow), led us through “A Framework for Race Equity Change” and “Systemic Racism Analysis” that introduced a framework of change and understanding dimensions of success. Teams learned and worked together to apply the framework to their own work. The post-training evaluation feedback indicated that this particular intensive was a turning point for many teams in considering how to advance racial justice. ACTION: Submit public comment by December 10, 2018 (details follow below). Current U.S. law requires that immigrants demonstrate financial self-reliance or self-sufficiency. The Immigration and Nationality Act (INA) states that an applicant is inadmissible if he/she is determined “likely at any time to become a public charge.” The INA itself does not communicate strong evaluative measures for determining whether an immigrant is likely to become a public charge. Rather, it lists five factors to be “taken into account:” (1) age; (2) health); (3) family status; (4) assets, resources and financial status; and (5) education and skills. 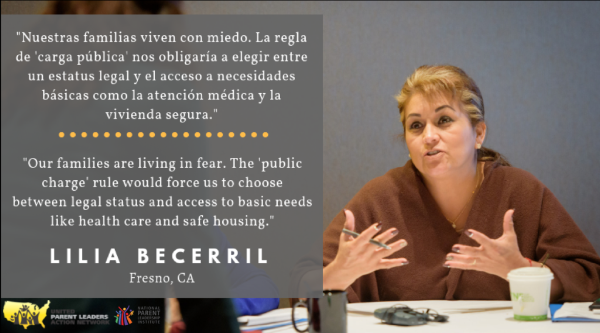 Some families would have to choose between meeting basic needs like food and health care, or securing legal status to live together as a family in the U.S. under the proposed changes. There is a 60-day period before the proposed rule can be adopted; this allows time for public comments to oppose it. This is your opportunity for civic engagement – speak up for immigrant rights so that this proposal is not adopted. 1. Submit a formal comment by December 10, 2018. ONLINE at Federal e-Rulemaking Portal (preferred): Click here or go to www.regulations.gov. Follow the website instructions for submitting comments. To ensure proper handling, please reference DHS Docket No. USCIS-2010-0012 in your correspondence. Mail must be postmarked by the comment submission deadline. CLOSING: Below are resources that you might find useful. Thank you for your consideration in taking action on this important issue. Visit our website for PDFs in both English and Spanish. UPLAN – visit this link for sample comments you can personalize and other resources on this issue. Finally, thank you for your commitment to the field of parent leadership and supporting the mission of the National Parent Leadership Institute (NPLI). Thank you for considering your support of parent leadership, civics, democracy, and racial equity by making a tax deductible gift to NPLI. No amount is too small (or too big!). As a non-profit with a big agenda and a small staff, every dollar of support is valued and truly makes an impact on what we are able to provide. 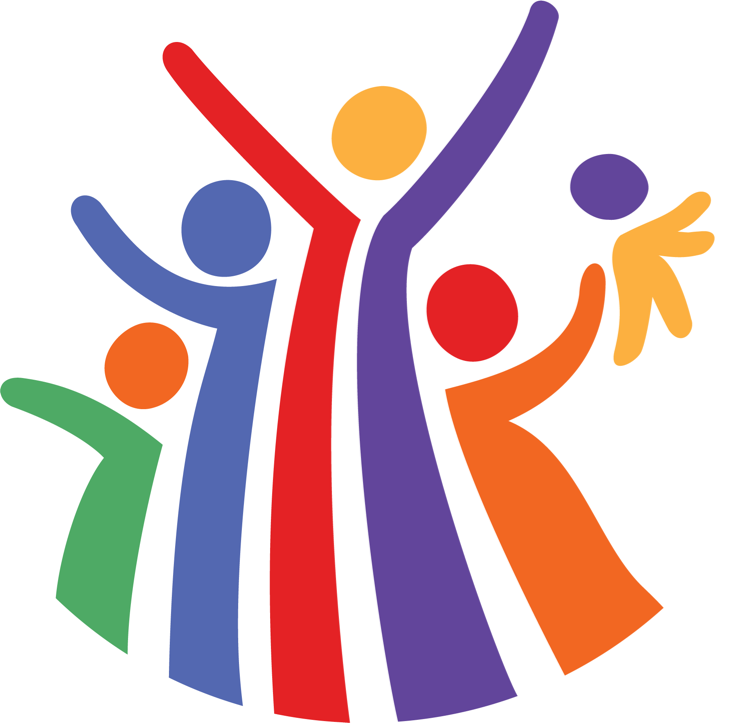 The National Parent Leadership Institute exists to coordinate and increase the civic skills and impact of diverse parents to improve child and community outcomes as they build caring communities. A strengthened democracy, resulting from all parents, cross-race and cross-class, being equipped with the skills, knowledge, and opportunity to have presence and power in the school, the neighborhood, the community, and at all public-policy decision-making tables. You can subscribe by going to update your preferences or unsubscribe from this list. © National Parent Leadership Institute, All Rights Reserved.